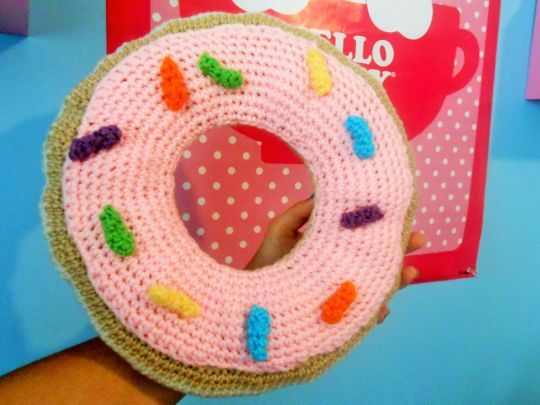 I was inspired to make this pattern when I saw a really sweet crochet giant donut beanbag chair from a fellow crocheter. Since I didn’t have the patience or material to work on a project that big, I made a smaller version. :) It is not for sell right now, either in pattern or physical form, but that doesn’t mean it won’t be sometime in the future. Don’t forget to check out the link to my Craftsy or Etsy shops below! Thanks! I really like your stuff!